Eight Fulcrum Barbell athletes took their talents to a USA Powerlifting sanctioned meet this past weekend. 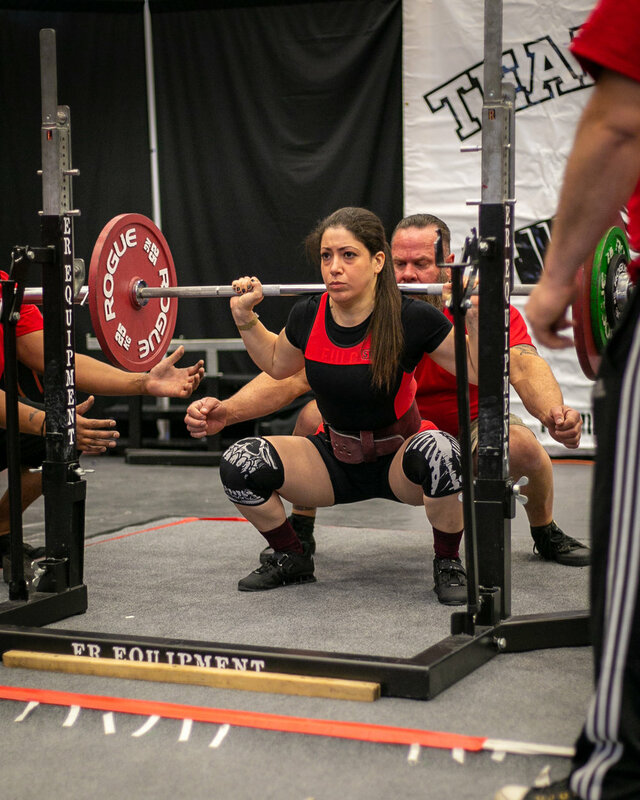 For most it was their first taste of competition in the sport of powerlifting, where the squat, bench, and deadlift are used as the contested lifts. The two day event resulted in lots of personal records, several medals, and one state record for the Fulcrum Barbell contingent. 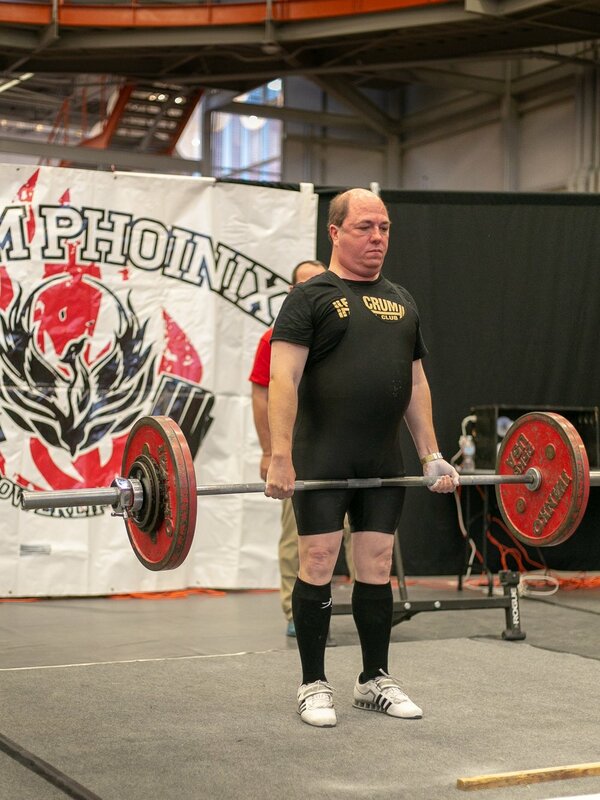 Gaven is an experienced athlete, having played elite level baseball for many years, but this was his first competition in the world of strength sports. He handled the pressure and intensity of meet day like a seasoned competitor, staying cool and calm throughout the long day. He was able to match his PR in the squat, ending with a strong 145 kg third attempt, push his best paused bench to 65 kg, and matched his top deadlift with a solid second attempt at 190 kg. The 190 kg deadlift earned him a state record for his age and weight category in the lift - an impressive accomplishment for Gaven’s first meet! We are excited to continue to support Gaven in all of his athletic endeavors. Erin had a rough week leading up to meet day. Battling illness and car troubles in addition to the stress of competition preparation, it would have been easy for Erin to let unfortunate circumstances diminish her ability to perform. 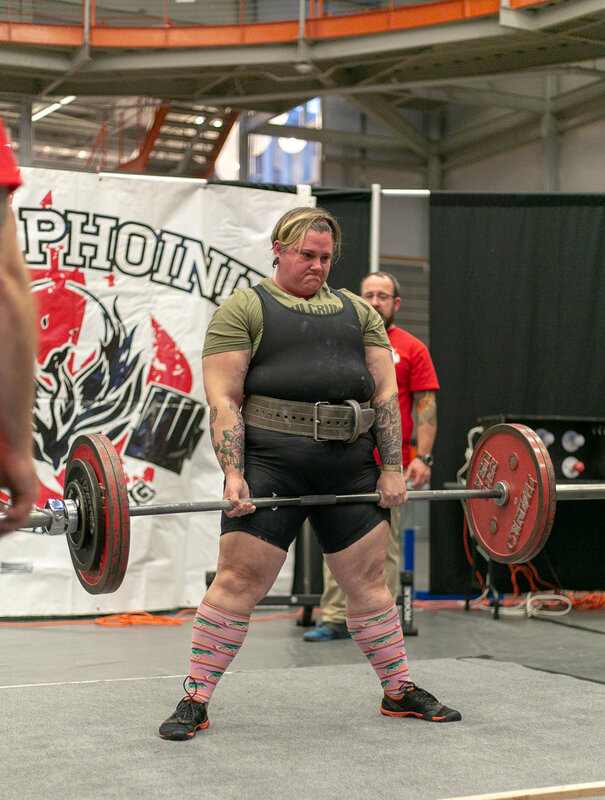 Instead, Erin stayed focused on the tasks at hand and came away from the competition with a meet PR in the squat at 130kg, a meet PR in the bench at 80kg, and matched her best deadlift with 150kg, all for a PR total of 360 kg. This strong showing was a testament to the hard work Erin has been putting in to her training - she has been diligent and focused on refining her patterns and working through nagging injuries. Strong work Erin! Marcella proved to be poised and fierce competitor, quelling her initial nerves and looking more and more comfortable on the competition platform as the day went on. After red lights for technical issue on her first two squat attempts, Marcella executed the third attempt excellently to be credited with 105 kg in the squat. She went on to set big personal records in the bench, at 60 kgs, and deadlift, with a strong 142.5 kg lift. Overall, a fantastic first meet for Marcella! We are excited to see where she takes her strengths next. A last minute entry to the meet, Curtis put in several solid weeks of training to get himself ready to compete. He was consistent and solid in the squat and bench, finishing with strong attempts at 170 kg and 120 kg, respectively. Where Curtis really shone was in the deadlifts, where he set a big personal record with his third attempt at 215 kgs. His wife and step-mother were in attendance to support and celebrate the big achievement - strong work Curtis! Erik expressed interest in competing after having gone through several iterations of our Lift Off three-lift total event here at the gym. He focused his meet preparation efforts on technical refinement of the squat and pushing past his comfort zone on the deadlift. All that hard work paid off with a stellar performance on meet day - 150 kg in the squat, 75 kg in the bench, and 152.5 on the deadlift. Tal earned herself a bronze medal, a tough task in a very competitive group of 63 kg women. An unfortunate muscle strain in the weeks prior to the meet left her unable to push the squats the way she may have wanted to, but she finished with a 105 kg second attempt to put herself on the board. Tal went on to have a beautiful showing in the bench press, setting a personal record with a very technical 70 kg lift. She then secured her third place medal with a solid 132.5 kg deadlift. Strong work Tal! This was Wendy’s first strength sport competition of any kind, and she had a great performance at her rookie meet. Wendy fought fiercely for a 100kg squat on the third attempt, stayed calm and collected on a 55 kg bench, and pushed herself to the limit to secure a 132.5 kg deadlift. It was wonderful to see Wendy’s competitive nature rise to the top, and we are excited to see where she takes her talents next! Last but not least, John was participating in his third USAPL meet of the year. He finished with competition PR’s in all three lifts and the total - ending the day with a 120 kg squat, 80 kg bench press, and 170 kg deadlift for a 370 kg total. The 170 kg deadlift was a wonderful way to cap off the weekend’s events - this lift bested John’s last meet results by 15 kgs. As usual, John’s enthusiasm and positive energy was infectious, and kept the whole crew smiling! Overall, a great weekend of lifting for everyone! As a team, Fulcrum Barbell placed fifth out of all teams entered in the meet. 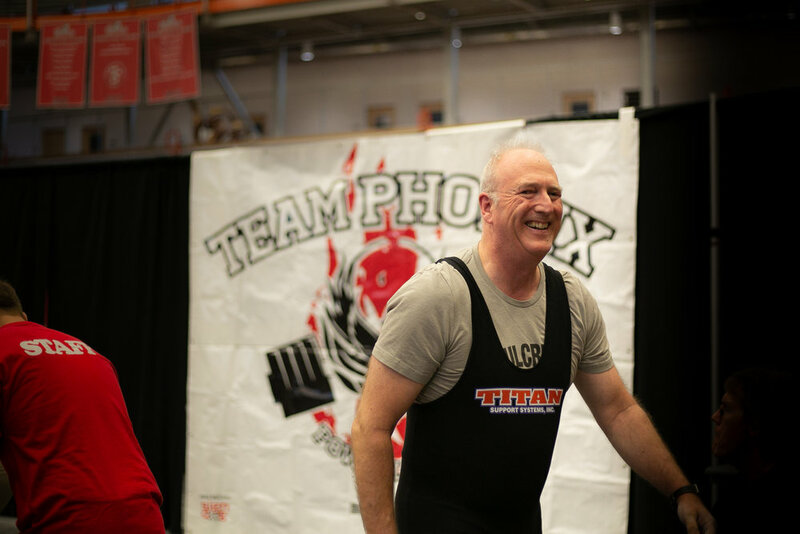 Team Phoinix and USA Powerlifting put on an organized and well-run event, with plenty of resources and a timely schedule. We greatly appreciate the Fulcrum Training Hall community for your continued support of our members who choose to take their journeys in strength and health towards a competitive event. Preparing lifters to compete is truly a team effort - small words of encouragement, helping to spot heavy attempts, courteously sharing equipment, advice on singlets and meet-day nutrition… all of these small acts and more add up to help each individual lifter have his or her best possible performance on meet day. Congratulations to the competitors, and thank you to the wonderful support system behind them!